Tags: IHillary Clinton, claims, abortion, right guaranteed, under the Constitution To share or post to your site, click on "Post Link". Please mention / link to the Greater Fitchburg For Life. Thanks! That changed last week. The French, Danish, and Swedish governments dropped the euphemisms and declared abortion an “essential condition” for the full realization of women’s rights at an event during the annual Commission on the Status of Women. The event’s title cast aside any ambiguity: “Access to Abortion and Bodily Autonomy: achieving Women’s Human Right.” The moderator was the head of the International Planned Parenthood Federation (IPPF), an organization that sells sexual exploitation as freedom and capitalizes on the medical consequences. “I’ve always said that if it were men who were getting pregnant, I’m sure that two hundred years ago, abortion would have been legal,” quipped IPPF President Tewodros Melesse. Despite the new transparency, panelists – pro-abortion activists and representatives from the sponsoring European countries – were spared any probing challenges. Questions were collected in advance on written cards—“to hear from the largest, but not from the few,” according to Melesse, signaling his disinterest in opening a debate. One statistic deserved challenging. Several panelists said that 13% of maternal deaths are caused by “unsafe” abortion, a claim that has been refuted by the World Health Organization, which puts the figure at 8%. At the heart of the event was a clear contradiction: while the speakers asserted that access to abortion is a fundamental human right, they simultaneously called for nations to enact an as-yet-unrealized universal right to abortion. Neither Melesse nor his fellow panelists addressed the conscience rights of health workers whose souls would likewise be imperiled by participating in an act they believed to be sinful. Questions on this from “the few” in the audience were not selected for discussion. Dr. Rebecca Oas is the Associate Director of Research for the Center for Family and Human Rights (C-Fam) in New York City. C-FAM was founded in the summer of 1997 in order to monitor and affect the social policy debate at the United Nations and other international institutions. Tags: United Nations, UN, European Governments, demanding, abortion rights, C-Fam, Rebecca Oas To share or post to your site, click on "Post Link". Please mention / link to the Greater Fitchburg For Life. Thanks! To be honest, if I had been asked, I would have doubted that they could find anyone in that community to defend HB2, the Texas abortion law whose constitutionality the Supreme Court is currently deciding. Tags: Abortion, Inconsistent, with An American Perspective, On The Value Of Life To share or post to your site, click on "Post Link". Please mention / link to the Greater Fitchburg For Life. Thanks! The Planned Parenthood abortion corporation has long ignored FDA rules and subjected women to dangerous abortions by giving them the abortion drug outside the guidelines the FDA had put in place. The abortion drug is responsible for the deaths of dozens of women worldwide, including several in the United States alone, and it has injured at least 1,100 women in the United States alone as of 2006 figures from the Food and Drug Administration. But that hasn’t stopped the agency from deciding today to change the rules and guidelines the abortion industry once had to follow to protect women’s health. A bill to ban dismemberment abortions has been approved by the Mississippi State Senate. This 40 to 6 vote comes after the Mississippi House of Representatives passed House Bill 519 on a vote of 83-33 back in February. . . .
Dismemberment abortion, performed on a fully-formed, living unborn baby, is a barbaric and dangerous procedure in which the unborn child is literally ripped apart in the womb and pulled out in pieces. The law embodies model legislation from the National Right to Life Committee that would ban “dismemberment abortion,” using forceps, clamps, scissors or similar instruments on a living unborn baby to remove him or her from the womb in pieces. Such instruments are used in dilation and evacuation procedures. Tags: Mississippi Senate, Passes Bill, Ban Dismemberment Abortions To share or post to your site, click on "Post Link". Please mention / link to the Greater Fitchburg For Life. Thanks! A woman who reportedly had a months-long affair with pro-abortion former President Bill Clinton back in 1983 says Hillary Clinton had multiple abortions and the couple decided to have Chelsea Clinton simply because of political calculations. Tags: Woman, Affair, Bill Clinton, Claims, Hillary Clinton,“Several” Abortions To share or post to your site, click on "Post Link". Please mention / link to the Greater Fitchburg For Life. Thanks! On the presidential campaign trail, Hillary Clinton is making it abundantly clear. She will not name any nominees to the Supreme Court who do not support abortion on demand. Jex Blackmore, leader of the Detroit Satanists, carried a wooden cross and wore a crown of thorns and a fake pregnancy belly, according to the report. Around her were other Satanists also dressed in black, with names of pro-life legislators painted on their backs, while another Satanist carried a black-and-white American flag and wore a black jacket with a picture of an extended middle finger. The group called the protest the “Sanctions of the Cross” in mockery of the pro-lifers’ Stations of the Cross vigil, the report states. Tags: Satanists, Defend Planned Parenthood, Abortion Clinic, From Pro-Lifers, on Good Friday To share or post to your site, click on "Post Link". Please mention / link to the Greater Fitchburg For Life. Thanks! Tags: Florida, Gov. Rick Scott, Signs Bill, Defund Planned Parenthood, Abortion Business To share or post to your site, click on "Post Link". Please mention / link to the Greater Fitchburg For Life. Thanks! Tags: Easter, 2016, Jesus Christ, Bible, He is Risen To share or post to your site, click on "Post Link". Please mention / link to the Greater Fitchburg For Life. Thanks! by Lisa Correnti and Marianna Orlandi, Ph.D, C-Fam: Holy Week did not deter an open attack sponsored by the government of Finland on the Catholic Church and religious teaching on family and sexuality at an event at the United Nations this week. Tags: United Nations, Finnish government, sponsors attacks, Catholic Beleif, UN, To share or post to your site, click on "Post Link". Please mention / link to the Greater Fitchburg For Life. Thanks! Ben Johnson, LifeSiteNews: Yet another Planned Parenthood affiliate entered legal combat with the Center for Medical Progress today. After the videos provoked a national backlash and numerous state and federal investigations – including a select House panel that is still investigating – the Planned Parenthood Federation of America and numerous affiliates in California and Colorado sued CMP investigators in January. . . . 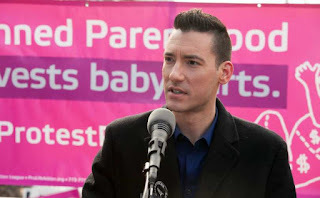 Tags: Houston, planned parenthood, joins lawsuit, Against Daleiden To share or post to your site, click on "Post Link". Please mention / link to the Greater Fitchburg For Life. Thanks! by Norm Beznoska Jr., ARRA News Service: The road to Calvary and the Crucifixion of Jesus Christ spanned a period of less than 24 hours from the time of the Last Supper, the Jewish Passover meal on Thursday evening, to Friday afternoon at 3:00 PM when Jesus breathed his last. But, the story of His death and resurrection still echoes down the hill side of Jerusalem throughout history. His story is just ‘alive today’ as it was when it happened at the place of the skull, ‘Golgotha’ in Jerusalem, some 2000 years ago. Norm Beznoska Jr., aka Navyman Norm, is a Strongsville, OH resident . He contributes to the ARRA News Service via articles and Letters to the Editor. Editor's Note: Norm provided this excellent article in 2014 and it is being shared again on this Good Friday - 2016. 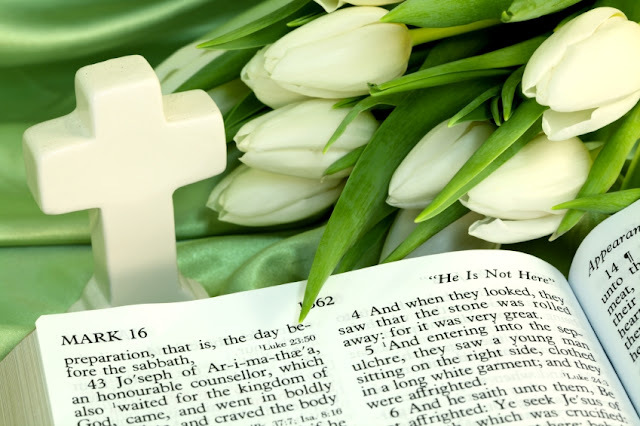 Tags: Easter, Good Friday, ARRA News Service, Norm Beznoska, Navyman Norm To share or post to your site, click on "Post Link". Please mention / link to the Greater Fitchburg For Life. Thanks! The Journal of Medical Ethics published on March 17, 2016 a survey compiled from 490 out of 3000 practicing neonatologists. The survey showed 76% of the neonatologists thought it was ethically permissible to issue a ‘Do Not Attempt Resuscitation’, (DNAR), without asking or notifying the parents for an infant when they “felt it impossible” for the child to survive. 61% of the neonatologists said a DNAR without parental consent was permissible when survival was ‘unlikely’. . . . Tags: Shock Study, 76% of Doctors, Say It’s OK to Put DNR, on Disabled Baby, Without Telling His Parents To share or post to your site, click on "Post Link". Please mention / link to the Greater Fitchburg For Life. Thanks! Tags: Black Sheriff, David Clarke, Hillary Clinton Should Return Margaret Sanger Award, Denounce Her Racism To share or post to your site, click on "Post Link". Please mention / link to the Greater Fitchburg For Life. Thanks! Tags: Democrat Chair, Caught Cussing, in Front of Nuns, While Pushing to Make Them, Fund Abortions To share or post to your site, click on "Post Link". Please mention / link to the Greater Fitchburg For Life. Thanks! Tags: George Soros, Son, donates $1 Million, Planned Parenthood, Elect Hillary Clinton To share or post to your site, click on "Post Link". Please mention / link to the Greater Fitchburg For Life. Thanks! The Obama administration has been unrelenting in its fight to force a group of Catholic nuns to violate their beliefs and pay for abortion-causing drugs and contraception, arguing that they are essential health care services. . . . While arguing publicly that religious groups should be forced to comply with the HHS Mandate, the Obama administration quietly exempted several major companies from those same rules. Lawyers for the religious groups used this point to argue against the federal government’s overarching mandate. . . . Meanwhile, some other health plans have been “grandfathered” in and are not subject to the mandate. These include plans offered by ExxonMobil, Chevron, Visa Inc. and PepsiCo. Tags: Pepsi, Visa, Chevron, Exempt From HHS Mandate, Little Sisters of the Poor, are Not To share or post to your site, click on "Post Link". Please mention / link to the Greater Fitchburg For Life. Thanks! WASHINGTON, D.C. -- Today as the Supreme Court heard oral arguments in the case of Zubik v. Burwell, two of FRC's legal experts were present in the Courtroom to listen as attorneys for each side were challenged by the Justices. Zubick v. Burwell was consolidated with six other cases (including Little Sisters of the Poor) with dozens of plaintiffs between them. All of these religious non-profits object to being forced by the HHS mandate to violate their faith-based principles by providing contraception, sterilization, and drugs and devices that can kill an embryo. 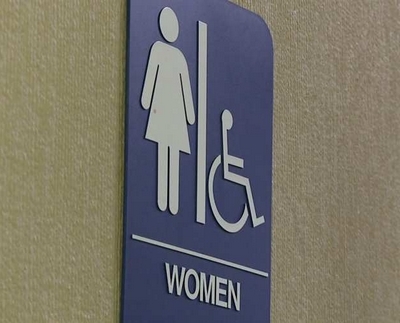 They have brought claims under the Religious Freedom Restoration Act (RFRA), and have asked the Supreme Court to protect them since their sincere religious beliefs have been substantially burdened. Meanwhile, the government has tried to show that it is advancing a compelling interest with its HHS mandate and is doing so through the least restrictive means possible. Family Research Council attorneys Cathy Ruse, Senior Legal Fellow and former chief counsel to the House Judiciary Subcommittee on the Constitution, and Travis Weber, Director of the Center for Religious Liberty, were in the Courtroom during oral arguments. Both are graduates of Georgetown University Law Center. "Sitting in the courtroom today made me realize the extent of the Obama Administration's hostility toward people of faith. When the Chief Justice asked the Solicitor General whether he believed even churches could be forced to sign the form and follow the mandate against their sincere beliefs, Attorney General Verilli answered, 'Yes.' This is what the future may hold if Justice Scalia's replacement agrees with the Obama Administration." "In court today, the government was hard-pressed to show it had a compelling interest which it was advancing by the least restrictive means. In addition, to rule for the Obama administration in this case, the Court would be signing off on the idea that the government can judge matters of religious doctrine sufficiently to determine whether they have been substantially burdened. That's not the American way and it's not what Americans want." Tags: FRC, Family Research Council, Supreme Court, Little Sisters of the Poor, Priests for Life, East Texas Baptist University, Roman Catholic Archbishop, Geneva College, Southern Nazarene university,oral arguments, Zubik v. Burwell, Religious Freedom Restoration Act, RFRA, HHS mandate To share or post to your site, click on "Post Link". Please mention / link to the Greater Fitchburg For Life. Thanks! Tags: Supreme Court, Will Decide, can President Obama, Force, Little Sisters of the Poor, to Obey HHS Mandate To share or post to your site, click on "Post Link". Please mention / link to the Greater Fitchburg For Life. Thanks! Tags: Donald Trump. 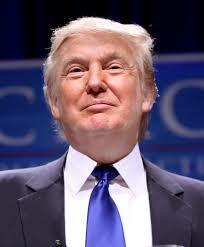 Supreme Court, nominee, Going to Be Pro-Life, conservative To share or post to your site, click on "Post Link". Please mention / link to the Greater Fitchburg For Life. Thanks! Shawn Carney, Campaign Director, 40 Days for Life: Faith is a gift from God. Many of us were instructed in the Christian faith and given the examples of the martyrs, converts, family members and friends who went before us through the centuries. But the decision to believe in Christ ... and act upon that belief ... is left to us. How we respond to our faith in Christ determines the answer to that question. Over the past 40 days, we’ve seen a heroic response in 273 cities. 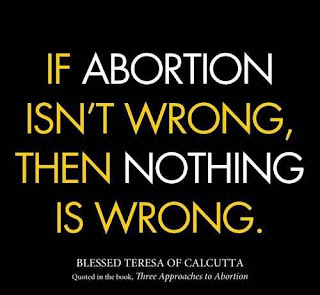 As a result, babies scheduled to be aborted are alive today. Abortion facilities have closed after decades of doing business. 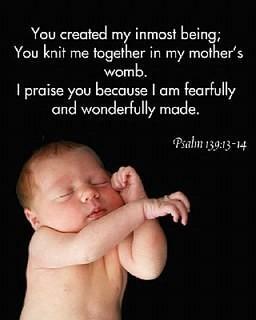 And people have prayed, often in freezing weather, piercing the hearts of those who work in the abortion industry. We live in difficult times, but we need not be paralyzed by the current culture. We need to embrace the beautiful words of Our Lord: “In the world you have tribulation, but take courage; I have overcome the world” (John 16:33). Faith creates opportunity – opportunity to change hearts, minds and attitudes in places we least expect it. We end this 40 Days for Life campaign with a story that speaks to the seeds that our faith in Christ can plant. “We had the good fortune to chat with a couple college students who decided to pull over and stand with us,” said Steve in Plano. However, they were standing in front of Planned Parenthood with pro-choice signs. They said they were libertarians, which provided an opening for one of the vigil participants. He was also a libertarian, he said – and that’s why he was against abortion. Abortion supporters often use the “it’s my body” argument. But the two young men agreed that there are cases in which individual freedom can be constrained – drunk driving laws, for instance, that take into account the rights of other drivers who do not consent to share the road with intoxicated motorists. 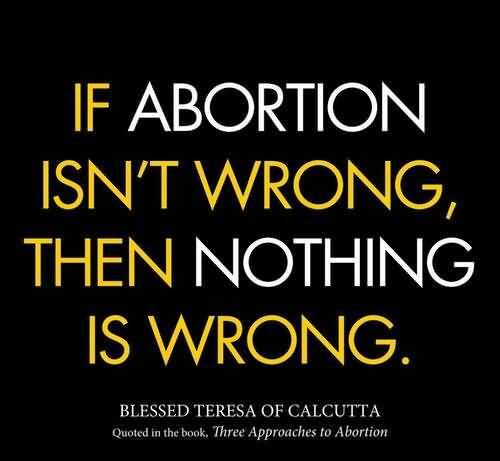 The same principle, they were told, applies to unborn babies, who have not consented to being aborted. Of course, at that point the two questioned whether the unborn have any rights. The young men then objected that the baby is not conscious. The two were asked if they’d ever had surgery. And one had. “Were you under anesthesia?” a volunteer asked. “Yes, I was,” the young man answered. “Of course not!” the young man answered. “Because I will regain consciousness,” the college student answered. 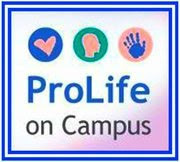 After chatting for a long time, the two college students thanked the 40 Days for Life participants for talking with them. One even shared his email, requesting more information. They said they were surprised and pleased that they were allowed to ask questions and share their views without being ridiculed. Tags: DAY 40, Faith Creates Opportunity, 40 Days for Life, 2016, Plano, Texas To share or post to your site, click on "Post Link". Please mention / link to the Greater Fitchburg For Life. Thanks! by Ben Johnson, Life Site News: A bill that would allow adult biological males to shower or change alongside young girls has earned the endorsement of two prominent teachers unions in Massachusetts. Tags: Massachusetts, Teachers Unions, Back Bill, Allowing Adult Males, To Shower, With Young Girls To share or post to your site, click on "Post Link". Please mention / link to the Greater Fitchburg For Life. Thanks! Tags: Chelsea Clinton, My Mom, “Important” to Extend ObamaCare, Cover Illegal Immigrants, Hillary Clinton To share or post to your site, click on "Post Link". Please mention / link to the Greater Fitchburg For Life. Thanks! Morabito warned that the rise of political correctness and the increasing enforcement of gender ideology by law and social pressure threatens freedom and leads to totalitarianism. “One of the dominant features of political correctness is that it isolates people from one another,” she said, arguing that the suppression of speech and the censorship of free expression threatens the personal relationships that are the foundation of human happiness. Music critic Michael Walsh, author of the recent book, “The Devil’s Pleasure Palace,” explained how art, as well as conversation, falls victim to political correctness. Despite taking place during the last evening time slot of the day, the venue was packed, and the discussion that followed the panelists’ presentations was passionate, and had to be cut short due to time constraints. One student called Walsh “racist, homophobic, and transphobic.” The young man with the dangling earrings insisted on society’s right to enforce new views of reality including new ideas on gender. At times the debate grew heated. One student named Lopez accused the panelists as having white privilege and that she as a Latina was at a disadvantage in society. Morabito told her that her grandmother had watched her grandfather crucified during the Armenian genocide. Walsh told how his grandmother came to the US as an immigrant not speaking a word of English. Ultimately the two authors’ words were a warning: between the increasingly individualistic notion of human rights and the growing pressure to redefine humanity in terms of gender ideology, freedom of expression and the ability of people to connect with one another are at risk. , Ph.D. is Associate Director of Research at the Center for Family and Human Rights. C-FAM was founded in 1997 to monitor and affect the social policy debate at the United Nations and other international institutions. C-FAM is a non-partisan, non-profit research institute dedicated to reestablishing a proper understanding of international law, protecting national sovereignty and the dignity of the human person. Tags: C-FAM, UN Panel, political Correctness, gender ideologists, Rebecca Oas, C-FAM, Center for Family and Human Rights To share or post to your site, click on "Post Link". Please mention / link to the Greater Fitchburg For Life. Thanks! by Brian Fischer, President, On-Line for Life: Having a baby was not in Xavreia’s plan. She was nearly 40 years old and already the mother of two teenagers. Xavreia had been feeling extremely sick, so she decided to go to the ER. There, she learned the cause of her symptoms: pregnancy. Feeling confused, Xavreia shared the news with a friend who referred her to one of Online for Life’s women’s care clinics. During her appointment at the clinic, an ultrasound revealed an even bigger surprise—she was expecting twins! Knowing the love she had for her two teenage sons and the joy of being a mother, Xavreia decided to keep her babies. She wanted to love on them, care for them, and watch them grow, And she knew she had a good support system in place with her parents living nearby. All of us at Online for Life work tirelessly to help mothers and fathers facing a unplanned pregnancy know they are not alone. We are here to comfort them, care for them, and stand with them both during and after their unplanned pregnancies. Thank you for your support of these parents and their precious children. 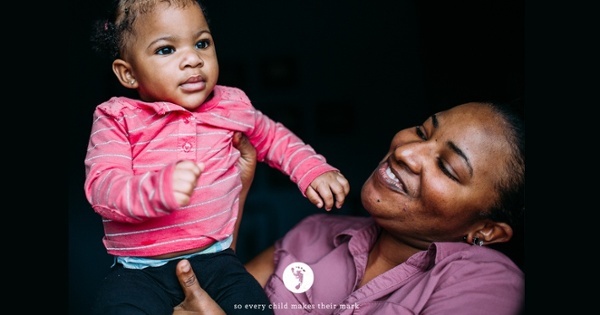 You help ensure that every child has the chance to experience LIFE. Tags: Brian Fischer, Online for Life, Xavreia, twinsTo share or post to your site, click on "Post Link". Please mention / link to the Greater Fitchburg For Life. Thanks! Shawn Carney, Campaign Director, 40 Days for Life: We should treat abortion workers no differently than we treat anyone else, including ourselves. We’re all sinners in need of prayer. Yes, it may be hard to keep that in mind if the employees are confrontational. But a loving response can – and does – make a difference. Just ask abortion facility workers who have criticized 40 Days for Life campaigns outside their workplace ... only to later join the prayer vigil. We must trust in God’s mercy and love, and not in ourselves. We have seen 128 abortion workers have a change of heart and leave their jobs during 40 Days for Life campaigns – including one in this current campaign. The road to leaving – and then finding healing – can be difficult. The process calls us to love, mercy and patience. The difference in witnessing to those in the abortion industry is, in the end, not about arguments or political policy, but love. An abortion facility is not only a difficult place to work ... it can even be a difficult place to clean. Here’s an example. While she was praying outside Planned Parenthood, a beat-up white van pulled up and men began loading cleaning supplies. “All of a sudden, I felt a strong urge to talk to these men,” she said. She found the crew manager, and told him this Planned Parenthood was responsible for more than 11,000 abortions every year. The man said they all worked for a cleaning service, not Planned Parenthood, and they were just assigned to that building. He said it was just another job. That’s when Jill felt a nudge from the Holy Spirit. Over the years, many of the 40 Days for Life volunteers in St. Louis have met – and taken a liking to – a member of Planned Parenthood’s janitorial staff. Tags: Day 39, Babies, Moms, Workers, 40 Days for Life, 2016, St, Louis, Missouri, Manhattan, New York To share or post to your site, click on "Post Link". Please mention / link to the Greater Fitchburg For Life. Thanks! Supreme Court nominee Merrick Garland doesn’t have a long paper trail when it comes to the issue of abortion, but he sided with the majority in one case that forced a pro-life group to obey the HHS mandate — requiring organizations to pay for abortion-causing drugs for their employees. Garland joined in a unanimous decision by the U.S. Court of Appeals for the District of Columbia Circuit in November 2014, which concluded last year that the HHS mandate doesn’t abrogate the religious freedoms of Priests for Life or 11 other religious groups that also challenged the mandate. Priests for Life was one of the earliest organizations to file a lawsuit against the Obama administration over its HHS mandate. The mandate compels religious groups to pay for birth control drugs and drugs like ella that can cause very early abortions. But Garland’s court ruled against the pro-life groups. . . . Tags: ISCOTUS Nominee, Merrick Gardner, ruled, Obama could force, pro-life group, HHS Mandate, PReiest for Life, To share or post to your site, click on "Post Link". Please mention / link to the Greater Fitchburg For Life. Thanks! by Kevin Mooney, The Daily Signal: When you turn to God after experiencing the raw side of life and run more than 3,700 miles across the entire country, it’s fair to say you’re someone who can endure intense physical, psychological, and emotional trauma. But if you’re Jeff Grabosky, and in you’re in the midst of another long run, you’re not convinced the endurance that served you so well previously will be there again. 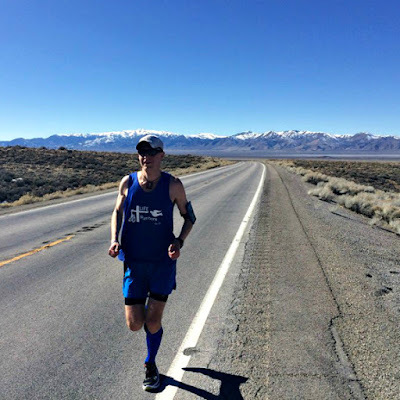 That thought came to mind last month as Grabosky and other “LIFE Runners” ascended the mountain regions in and around rural Nevada as part of a nationwide effort to raise awareness and funds on behalf of the unborn. Grabosky, now 33 and living with his family in Jefferson City, Mo., began planning for his cross-country journey back in 2006, after his mother died of cancer. His marriage ended that same year. He wrote a book, “Running With God Across America,” detailing his physical and spiritual journey. During his cross-country run, Grabosky says, he often would pray the rosary when he encountered a difficult stretch—a technique he picked up from his mother, who was also a runner. Grabosky is running just as hard and just as long today as he did back then, but he’s not doing it alone. Grabosky and thousands of other LIFE Runners from across America began their 40-day journey on Feb. 10, Ash Wednesday. They wore jerseys, the backs declaring, “Remember the Unborn—Jeremiah 1:5” and fronts depicting a shield of faith. The annual “A-Cross America Relay” began in 2013 as an East-West run inspired by Grabosky’s solo run in 2011, which started in Oceanside, Calif., on Jan. 20 and ended at Smith Point in Long Island, N.Y., on May 20. Along the way, Grabosky met up with Pat Castle, a fellow pro-life activist and marathon runner, who had a vision for what might come next. Castle saw an opportunity to spread the pro-life message by bringing together runners from across the country who shared their Christian convictions. Grabosky, 33, and Castle, 44, are both practicing Catholics who are ambitious to end the practice of abortion and to protect human life from conception to natural death. The two men met for the first time in Alton, Ill., on April Fools’ Day as Grabosky was making his way to New York in 2011. 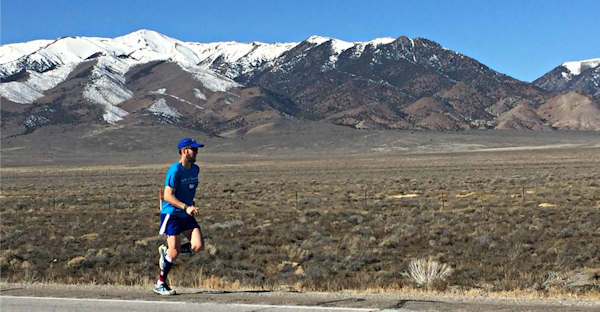 Castle, co-founder of LIFE Runners, decided to press ahead with a cross-country run that would draw pro-life activists from around the nation. The idea here is to put our faith into action and to use the talents God gave us to promote his kingdom. The goal is to raise awareness and funds to help end abortion, but also to grow in our faith.About 70 runners were part of the group in 2011, Grabosky estimates, and now there are now more than 4,200 members in all 50 states and in 25 countries. The route for this year’s event comprises 5,544 miles. 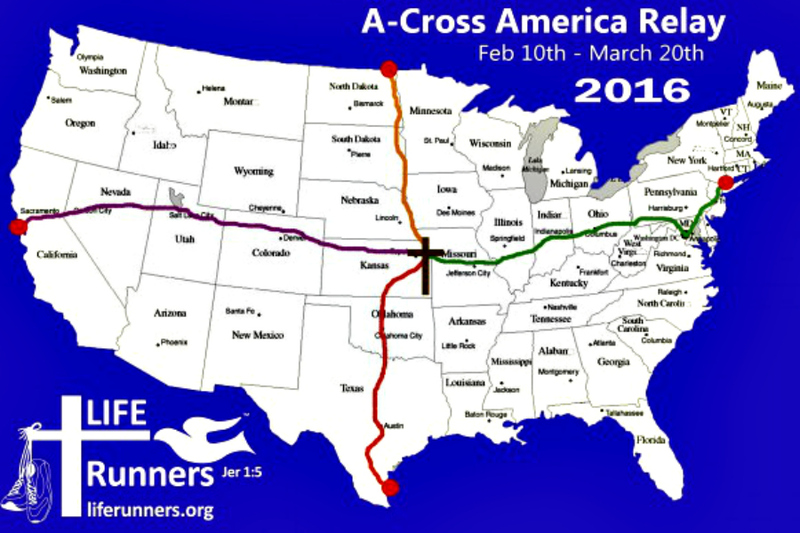 The locations for the start of all four arms of the run Feb. 10 were selected strategically so the runners could form a giant cross at the finish line celebration on Palm Sunday, March 20, at Macken Park in Kansas City, Mo. The East Arm (1,598 miles) began at the Brooklyn Bridge in New York City; the West Arm (1,975) at the Golden Gate Bridge in San Francisco; the South Arm (1,086 miles) at Corpus Christi Bay, Texas; and the North Arm (884 miles) at Neche, N.D., near the Canadian border. The official route swings by abortion clinics, where participants join in prayer with groups associated with the “40 Days for Life” campaign. Runners also could register and run different legs from remote locations. Organizers hoped to cover as much of the actual routes as possible with individual or multiple participants. Board members wanted to lead by example, so they made a pilgrimage to Nevada on Presidents Day weekend to fill 100 miles of some of the most difficult terrain. Grabosky and Castle were joined by Grant Fenske, 52, who started a LIFE Runners chapter in Lafayette, La. The Nevada pilgrimage began at a hotel in the town of Tonopah, about a three-hour drive north from McCarran International Airport near Las Vegas. From there, the only stop Grabosky says he remembers is a rest area labeled Area 51 Alien Center. “We certainly felt like we were in the middle of nowhere,” he recalls. After waking up early, I waited for the rest of the team to wake up. We rocked out breakfast right away and then took a drive of more than two hours to our starting point on Route 50, dubbed the ‘Loneliest Road in America.’ We snagged some sweet photos of the LIFE Runners banner along with some other good shots with the beautiful scenery surrounding us. Once we were all done with that, we kicked off the running part of our pilgrimage around 9:45 a.m. as I hit the road for a 9.6-mile run, which began at 4,610-feet elevation and climbed to 5,135-feet elevation. It was tough to breathe the thin air as well as to climb over 500 feet during that leg, but the breathtaking scenery around me and the sun on my face helped quite a bit. 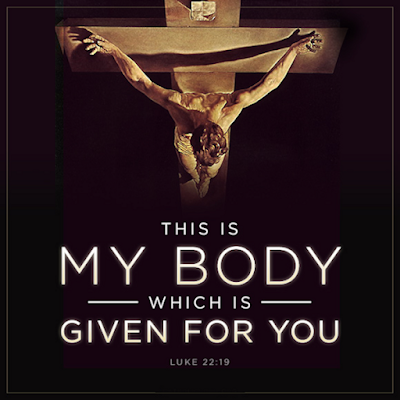 I prayed a rosary during that leg and offered it all up as redemptive running for the unborn as well as those who continued to deal with the pain of abortion. I ran another leg of 3.7 miles next, and the thin air had me feeling completely exhausted and out of breath despite my body feeling fine. I closed out the day with a 2 mile steep uphill run with Pat [Castle].From here, the team drove about more than two hours to Ely, Nev., where they headed off to Mass. Grabosky writes:The address for the church we had took us to somewhere that wasn’t even close to the church, so after asking directions from two people, we arrived just a little late, smelling incense as soon as we got out of the car (there was none inside the church). After Mass, the priest saw our LIFE Runners gear and asked us to return the next morning to speak to the parishioners before the 9:30 a.m. Mass. We then headed out for a much-needed meal, where we were approached by a couple who said they loved our shirts and thanked us for spreading a good message. We made it back to our motel and passed out.Sunday, Feb. 14We woke up early and hit the road by about 6:30 a.m. I nailed a 7.2-mile run right out of the gate. It was cold and windy, 19 degrees with a wind chill factor of 7 degrees. The scenery was more than worth it, as everything was still and all I could see for miles was snow-capped mountains. Between the three of us, we put in over 15 miles before making it back to the motel to get ready and headed to Mass. With the human cross set to come together Palm Sunday in Kansas City, Mo., Grabosky says, LIFE Runners hope to elevate the unique value and distinct possibilities of each human life as the Old Testament prophet expressed it. Tags: The Daily Signal, Kevin Mooney, Life Runners, pro-life, running across America To share or post to your site, click on "Post Link". Please mention / link to the Greater Fitchburg For Life. Thanks!